Among the nation’s best dairy farms, these teams perform daily, weekly, and monthly practices that ensure top-caliber milk. The 2016 National Dairy Quality Award Platinum winners represent an exemplary group of dairy producers. Not only do these herds produce some of the nation’s highest quality milk on a daily basis, these farms incorporate the many recommended science-based practices that lead to this positive outcome. Those habits include written milk procedures, wearing gloves each and every milking, routinely reviewing individual somatic cell count data on cows, and using a California Mastitis Test on any suspect cows. In addition to these steps, milking routines, milk culturing, and herd health measures also ensure the likelihood of the highest quality milk. Nominators submitted screening applications from 122 farms this year. From that group, the first screening was made based on milk quality benchmarks. Of these, 51 herds merited careful analysis by a team of judges through a comprehensive review of measures to ensure milk quality based on the latest peer-reviewed science. After judging, final applications were designated as Silver, Gold, or Platinum winners. The previous page lists all of this year’s winners. Their nominators are also listed, as those individuals deserve credit for bringing applications forward. Hoard’s Dairyman is honored to co-sponsor the National Dairy Quality Awards with the National Mastitis Council. The program would not be possible without the sponsorship of GEA Farm Technologies, IBA/Ecolab, Elanco, and the major sponsor, Merial. What is your milking procedure? By focusing on the basics, the Bailey family produces some of the best quality milk in the nation. 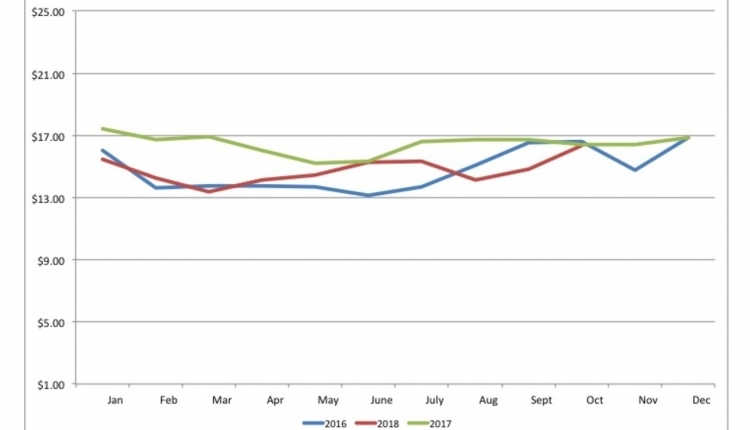 Inflations are changed every 28 days, vacuum is checked monthly by the equipment dealer, pulsators are graphed every six months with maintenance done yearly, and rubber gaskets are changed yearly. 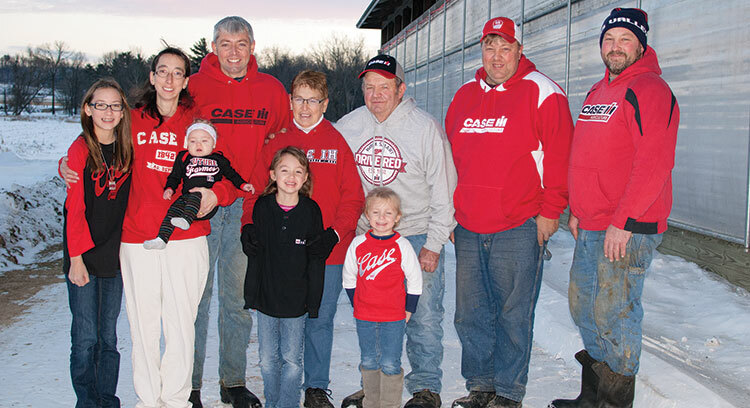 These extra steps help the family’s Tomah, Wis., tie stall barn and pipeline system function at optimal levels. 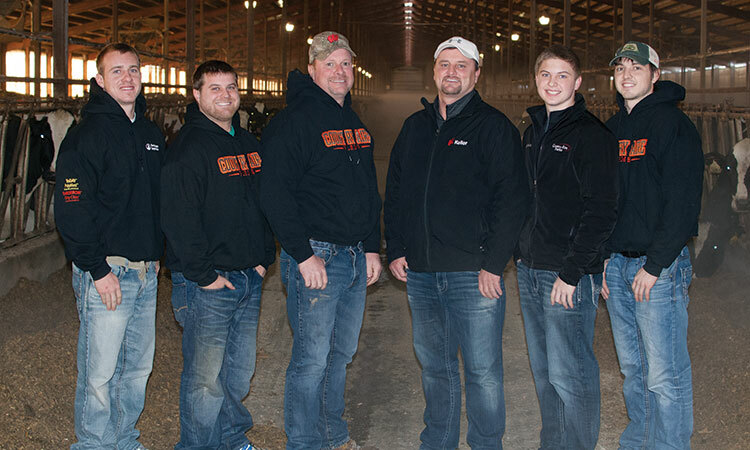 “Along with milking in a tie stall barn with eight units on a 2-inch milkline, the Baileys switch out the herd almost three times during milking,” explained nominator Bob Zielsdorf with Swiss Valley Farms. 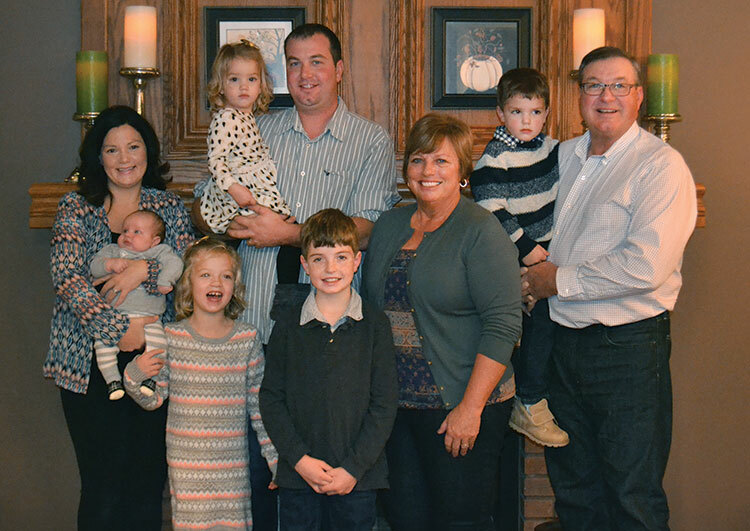 Shown above, (L to R) are: Josie; Nelda who is holding Malynn; Brock; Jean with Teagan standing in front; Mike with Blair standing in front; Brent, and farm staffer Brent Johnson. Bailey Dairy: We wipe teats clean with a washable microfiber towel, strip out foremilk, predip, dry teats, attach milking units, and postdip. At the conclusion of each milking procedure, we also observe the udder for swelling. Country Aire Farms: We strip out foremilk three times for each teat, predip, clean and dry teats with reusable 12-inch by 12-inch cloth towels, attach milking units, and postdip. Simon Dairy: We strip out foremilk, dip, dry teats, attach milking units, and postdip. As part of our approach, an individual towel is used on two teats then flipped over and the clean side is used to wipe the last two teats. Tollgate Holsteins: We strip out foremilk using a strip cup, dip the cows, dry teats using single-service white paper towels, attach milking units, and postdip the cows. In regard to forestripping, if a teat is wet with milk and/or is dirty from mud or manure, we dry wipe first. If the teat isn’t clean after drying teats with a single-service towel, we repeat the predip and drying sequence and use a new towel. UW-Marshfield: We strip out milk, predip, dry teats with cloth towels, attach milking units, and postdip. Vision-Aire Farms: We begin by wiping and brushing sand off of teats, predip, dry teats with paper towels, strip out foremilk, attach milking units, and postdip. How do you maintain healthy teats? Bailey Dairy: We use postdip with a 10 percent emollient package and do not remove milker units until vacuum is shut off. In addition, we correct liner slips quickly, use good udder prep to be sure that cows have good milk let-down, and the vacuum is set at 14.5 cubic feet per minute (CFM). Country Aire Farms: Teats are foamed with predip after forestripping and dried with a cloth towel. After milking, teat ends are dipped in iodine postdip except for the winter months when we use a 10 percent emollient, iodine-based teat dip. 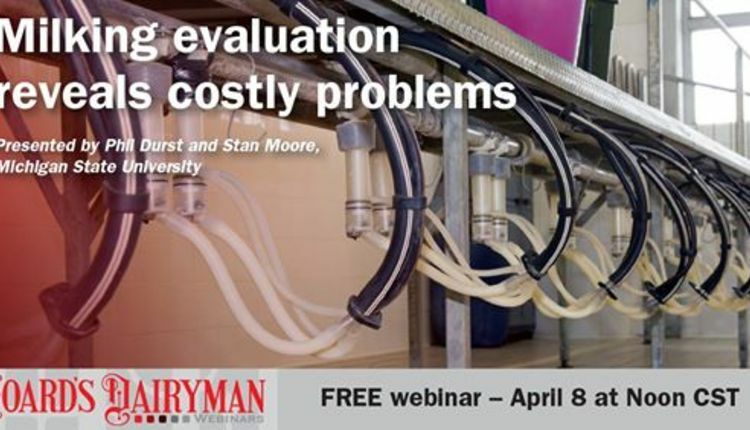 Simon Dairy: We maintain equipment with quarterly system checks (or earlier if needed). We use quality teat dips with conditioners in cold weather. Tollgate Holsteins: We use 60/40 pulsation combined with IBA pro-square inflations. During milking, we ensure proper machine positioning for even milkout and prompt removal of the machine when the cow is finished to avoid overmilking. UW-Marshfield: We set a threshold for the automatic takeoff (ATO) flow rate/removal and evaluate those levels routinely to prevent hyperkeratosis. Furthermore, we change liners routinely and use a cold weather dip containing emollient and 1 percent disinfectant. From a herd perspective, we employ strategic culling for poor udder/teat conformation and also cull unusually slow milkers. Vision-Aire Farms: We have a low line milking system with automatic takeoffs. We use Dermacide and Dermacept for postdip. Dermacide during warmer weather and Dermacept during winter/colder months. 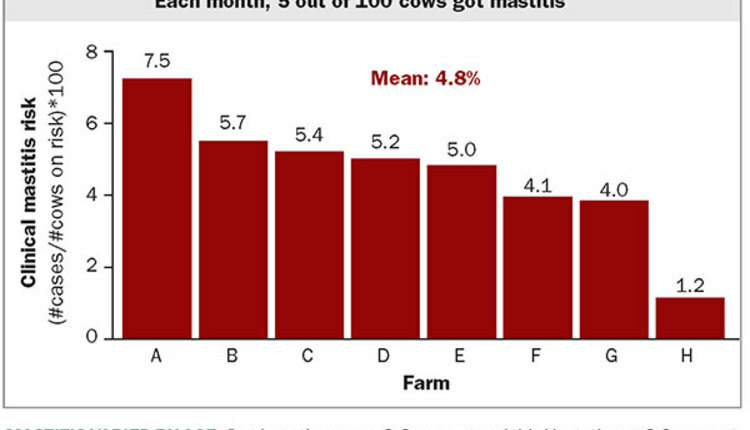 How do you detect mastitis? Bailey Dairy: We use monthly DHIA (Dairy Herd Information Association) reports and the CMT (California Mastitis Test). Teats being foamed with predip would be unique to Country Aire Farms among the Platinum group of award winners. Not unique is the commitment to quality. 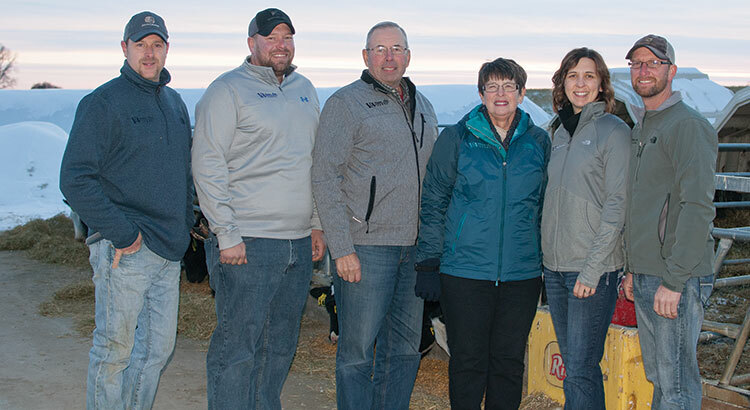 “The Gerrits family shares their focus on milk quality with all employees, equipment dealers, and consultants who work with the herd,” said nominator JR Neu with the Sartori Company. 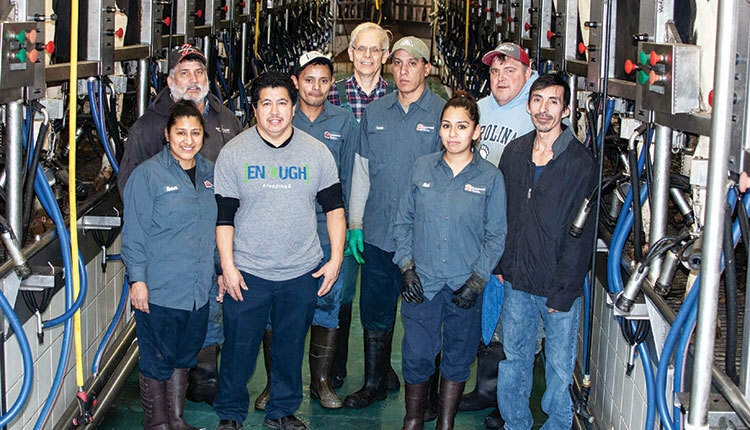 “This ensures that all people involved follow through on all details related to producing quality milk.” The Platinum-winning 540-cow dairy located near Kaukauna, Wis., averages 34,423 M, 1,221 F, and 965 P. That farm is one of two dairies owned by the Gerrits that total 3,700 cows. Shown above, (L to R) are: Craig and Nick Gerrits with their father Tom; and Mike Gerrits with his sons Jonathan and Matt Gerrits. Tom and Mike are brothers. Country Aire Farms: We use SCC (somatic cell count) data from DHIA and then use a CMT on any cows over 200,000 to find infected quarters. Simon Dairy: We routinely review test day SCC and also use a CMT on suspect cows. Tollgate Holsteins: We evaluate DHIA reports for high SCC cows. We also look for abnormal tactility of a quarter but showing no signs in the strip cup, then run a CMT on those cows. UW-Marshfield: We use SCC and CMT testing. Vision-Aire Farms: We evaluate through our DHI monthly testing reports. Then all quarters on potential subclinical cows are CMT tested. Bailey Dairy: To catch clinical mastitis, we forestrip, check for udder swelling, and evaluate lower milk production on an individual basis. Country Aire Farms: Visible signs such as flakes, chunky milk, swollen quarters, or high SCC all hit our clinical milk radar. 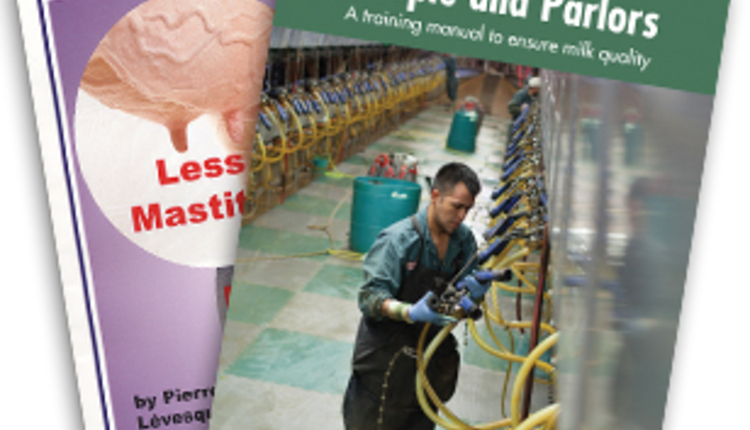 Simon Dairy: We catch clinical mastitis by prestripping prior to milking in the parlor and examining low milk cows. Tollgate Holsteins: We detect clinical mastitis through visual observation, tactile observation, and use of the strip cup. UW-Marshfield: Our clinical mastitis checkpoints include forestripping during milk prep, by looking for quarter abnormalities (swollen, hard, hot), abnormal-looking milk, and checking for systemic sickness in cows. Vision-Aire Farms: Through visual and hand stripping, we detect clinical mastitis. Describe your fresh cow monitoring. Bailey Dairy: Fresh cows are watched closely to make sure they are eating, and temperatures are routinely taken. Early in lactation we use the CMT, and suspect quarters are treated. All cows are tested monthly with DHIA. High SCC cows are cultured to determine the type of pathogen. Treatment is based on culture results. Country Aire Farms: All fresh cows are monitored in the postfresh pen daily by the herd manager where he looks for visible signs of distress or illness. He also takes temperatures. The postfresh pen is bedded with virgin (first-time use) sand. Fresh cows also are milked every 8 hours, and udder health and milk quality are observed carefully. Simon Dairy runs milk cultures on all recently fresh heifers and cows with linear somatic cell scores greater than 4.0 or 200,000 cells per milliliter. Follow-up treatment then depends upon those culture results. That is one of the many steps that Simon Dairy takes to ensure milk quality at their Westphalia, Mich., dairy that is home to 890 Holsteins that average 27,743 M, 941 F, and 811 P. In addition, the Simon family also gives J-5 vaccine to all cows to build immunity against mastitis. Likewise, fresh sand bedding is added to all freestalls once a week along with hydrated ag lime. Three generations of the Simon Family are shown above (L to R): Emily, holding Theodore; children Scarlet and Kaine; Brent, holding Annabell; Therese and Larry Simon, with Larry holding grandson Jude. Simon Dairy: High SCC cows and heifers are cultured. We monitor SCC and culture both clinical and subclinical cases. We treat according to risk factor and organism cultured. Tollgate Holsteins: We watch for abnormal udder evolution, such as excessive leaking. We forestrip looking for abnormal milk and check for abnormal edema. We use the CMT on all fresh cows, note the trends, and if a quarter doesn’t “straighten out,” we will use a quarter milker. If there is no improvement, we will culture, treat appropriately, and watch and wait for normal milk. UW-Marshfield: Fresh heifers are milked offline for three milkings to ensure colostrum is milked out of quarters. Beginning at Days 5 through 7, the CMT is used to screen fresh cows for mastitis. Quarters testing positive are sampled and cultured. Cows are forestripped at each milking to detect the presence of abnormal milk. Only heifers are calved, therefore, we do not test new milk for antibiotics as no dry cow treatment had been used. Vision-Aire Farms: We use DHI MyAgSource reports: Fresh cow infection list and dry cow failure to cure report. We use visual examination during stripping and the CMT. Udder Comfort is applied for relief of swelling. Additionally, the Delvo test is used after the fifth milking to ensure milk is antibiotic residue free, and we monitor results after DHI testing (every four weeks). What steps do you take at dry-off? Bailey Dairy: All cows receive dry cow treatment. Following milking, teats are hand stripped. The teat end is cleaned with an alcohol pad, intramammary infused with Tomorrow (cephapirin), using partial insertion into the teat canal. The product is massaged into the udder. Each teat end is cleaned again with an alcohol pad, air is removed from Orbeseal tubes, intramammary infused with Orbeseal using partial insertion (end of cap is cut off to make a partial insertion tube). All teats also are postdipped with Barrier-One. Country Aire Farms: We administer J-5 e. coli vaccine at 215 to 230 days carried calf (DCC) and give a booster at 255 to 261 DCC. When administering dry treatment, teat ends are dipped with iodine and wiped with a cloth towel following milking. An alcohol pad is used to clean teat ends, and Spectramast DC (ceftiofur hydrochloride) and Orbeseal (bismuth subnitrate) are administered intramammary. Postdip is then applied, and cows are moved to the dry cow pen. At 30 to 36 days post fresh, we administer J-5 vaccine to all cows. 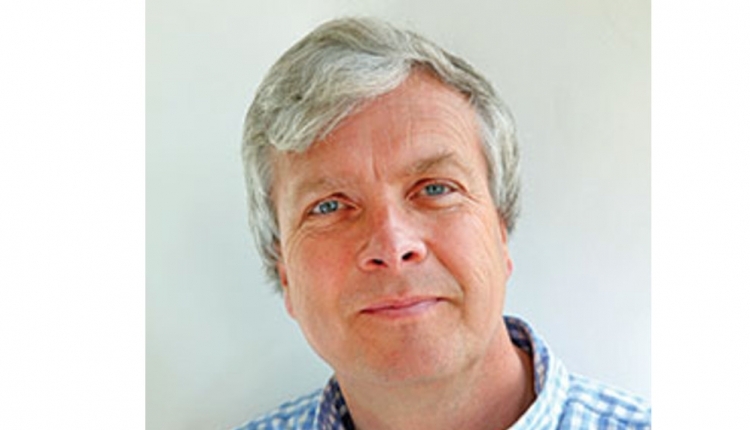 Simon Dairy: All cows are dry treated with Dry-Clox (cloxacillin benzathine) and Orbeseal. Cows are milked and then stripped to ensure good milkout. Then each individual teat is cleaned with an alcohol pad and Dry-Clox is inserted. The teat is wiped again with an alcohol pad and Orbeseal is inserted. This process is repeated for each teat. Then the teat ends are dipped, and cows are moved to the dry pen. 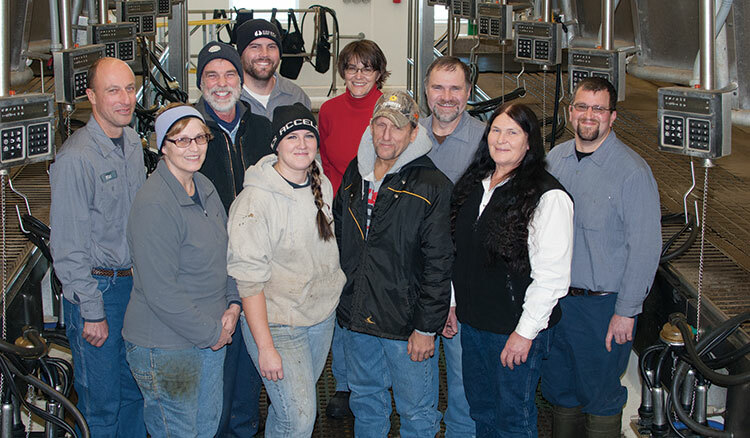 Meticulous cow care led Tollgate Holsteins of Ancramdale, N.Y., to earn Platinum honors. “It is evident every time you walk in their barn because you see clean, healthy, comfortable cows,” said nominator Ruth McCuin. No stranger to quality milk, the Davenport Family has earned top milk honors with the Agri-Mark Cooperative since 1988 . . . yes, 1988 to 2016. The 70-head Holstein herd, with six Ayrshires sprinkled within the group, averages 25,358 M, 933 F, and 752 P. Jim Davenport and his herdsman, Art Downs, culture every case of mastitis. From those culture tests, the best therapy is pursued and, in some instances, no treatment is administered based on culture results. Shown above are Karen and Jim Davenport, herdsman Art Downs, and Ruth McCuin with Agri-Mark. Tollgate Holsteins: We make note of current DHI SCC (very rare to have a cow over 100,000 SCC). Our dry-off management includes giving a subcutaneous injection of the Triangle 10 vaccine. We then remove the 80-pound balanced 75 percent forage TMR and feed them 58 to 60 NDF (neutral detergent fiber) grass hay ad lib. Fresh, clean water is available at all times. Once the manure stiffens, they are milked daily until production drops below 20 pounds milk per day. When the cluster is removed after the last milking, each teat end is swabbed with a single-service alcohol pad. The alcohol is allowed to dry and then each quarter is infused with Orbenin-DC (benzathine cloxacillin) using unavoidable partial insertion. Massage well into teat cistern, then install Orbeseal teat sealant. First, we warm the tubes to about body temperature, tap on plunger, express plunger to remove air from the tube. This prevents compressed air from blowing the sealant out of the streak canal and into the teat cistern and beyond. If during this purging process material gets on the canula, we use more alcohol pads to wipe the canula clean. This process allows us to place the sealant just above the teat sphincter so that the cow can still develop a keratin plug. 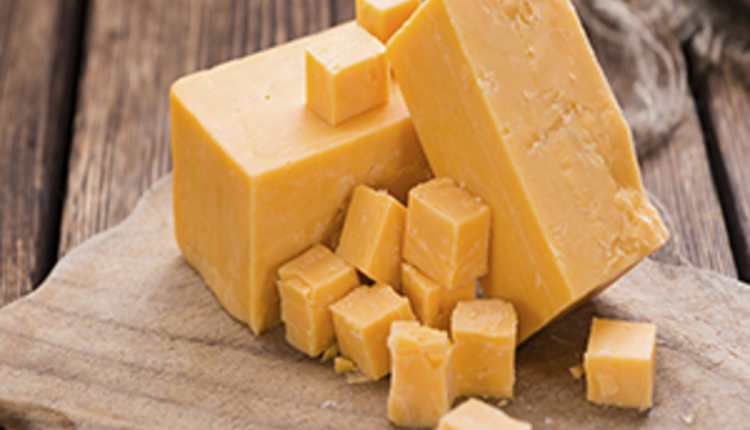 “While the University of Wisconsin-Marshfield serves as a learning and research facility, the team takes great pride in producing top-quality milk,” said nominator Kaitlin Hartkopf with Foremost Farms USA. The attention given to first-lactation cows is industry leading, and it yields dividends as the 140-cow herd averages 29,520 M, 1,183 F, and 922 P. Among the first-lactation individuals, 5 to 10 percent of fresh cows are milk cultured based on an initial CMT screening. Shown above, (L to R) are: front row: Grace Tester, Kari Landwehr, Wesley Weichelt, and Emmy Sutton; back row: Will Cordes, Greg Swart, Brian Kruger, Nancy Esser, Russ Draeger, and Pete Sutton. Missing from the photo were Paul Abel and Dennis Frank. UW-Marshfield: Cows are dried off approximately 220 DCC (days carried calf). If the cow is nearing dry-off and milking over 60 pounds, she is placed on a lower quality ration to reduce milk production. Cows are dried during the morning milking (the same crew conducts dry cow protocol). Quartermaster (procaine penicillin G) is used for dry cow treatment. Orbeseal is used for internal teat sealant. All intramammary infusions are done using the partial insertion method. Teat disinfection is done in a far-to-near manner (far teats first with closer teats to the cow care specialist last) and infusions are done in a near-to-far approach. Vision-Aire Farms: Cows are dried off 45 to 60 days prior to calving regardless of milk quantity. We use Spectramast DC (ceftiofur hydrochloride) and Orbeseal intramammary in all quarters at dry-off. Enviracor J-5 (5cc) is given subcutaneously to help control E. coli mastitis. Bailey Dairy: We use Spectramast LC (ceftiofur hydrochloride), intramammary, for four days, once a day. Milk is withheld for 72 hours. Country Aire Farms: Intramammary infusion of Spectramast LC takes place for three to four days, once a day, and milk is withheld for 72 hours. We also do on-farm culturing to test for gram-positive bacteria. Simon Dairy: We use Spectramast LC, intramammary, four to eight days, once a day, and milk is withheld for 72 hours. Tollgate Holsteins: We culture all cases and also run a CMT. When we know the causative gram-positive pathogen, we treat with Pirsue (pirlimycin hydrochloride). If we are unsure of the culture results, we treat with Spectromast LC. We CMT every milking and treat once a day for up to eight days (this is rare to treat this long). UW-Marshfield: Spectramast LC, intramammary, once a day for five days, and milk is withheld 72 hours. Excenel (administered in recurring cases), intramuscular, once a day for three days under veterinary supervision. Vision-Aire Farms: We apply Udder Comfort to the quarter and observe for the next couple of milkings. Bailey Dairy: We use Spectramast LC (ceftiofur hydrochloride), intramammary, for five days, once a day. Milk is withheld for 72 hours. We also use Prevail (flunixin meglumine), IV (intravenous), for two days, once a day, and milk is withheld 36 hours. Country Aire Farms: Just like mild cases, we administer Spectramast LC, intramammary, three to four days, once a day, and milk is withheld for 72 hours. Simon Dairy: Spectramast LC, intramammary, four to eight days, once a day, and milk is withheld for 72 hours. Also, Naxcel (ceftiofur sodium), intramuscular, five days, once a day. Tollgate Holsteins: We follow the same steps as outlined in the mild cases but with one adjustment . . . if there is udder or quarter inflammation, we begin treatment before the culture results. UW-Marshfield: Spectramast LC, intramammary, once a day for five days, and milk is withheld for 72 hours. Banamine (if fever), intravenous, once a day for two days, and milk is withheld for 36 hours. Excenel, intramuscular, once a day for five days. Vision-Aire Farms: We use Spectramast LC, intramammary, once a day for three days. Milk is withheld for 72 hours. We also apply Udder Comfort to the quarter. Bailey Dairy: Same treatment as moderate cases, plus sodium chloride (7.5 percent hypertonic saline), IV or intravenous, two days, twice a day. Country Aire Farms: Administer Spectramast (ceftiofur hydrochloride) intramammary, three to five days, once a day, milk withheld for 72 hours. (Note: We extend treatment one more day on some severe cases.) We administer Banamine (flunixin meglumine) intravenous, once a day, for two days, with a 36-hour milk withhold. Simon Dairy: We follow the moderate treatment protocol Grade 2 plus we administer Banamine, intravenous, one to two days, and milk is withheld for 36 hours. Also, we administer hypertonic saline solution (sodium chloride), intravenous, once a day for one day. Tollgate Holsteins: It’s rare that we have a severe case. If we have a severe case, we follow our aforementioned protocols and also work with our veterinarian. In these rare instances, we generally treat cows with Excenel, intramuscular; administer Banamine, intravenous; give hypertonic saline solution, intravenous; and strip out the quarter three to four times a day. UW-Marshfield: Spectramast LC, intramammary, once a day for five days, milk withheld 72 hours. Banamine, intravenous, once a day for two days, milk withheld 36 hours. Excenel, intramuscular, once a day for two to five days based on severity. We use the same approach on hypertonic saline. The lone repeat winner was Vision-Aire Farms of Eldorado, Wis. The 152-cow herd, averaging 27,000 M, had 24 cases of mastitis last year. Of that group, six cases were treated and 18 were not treated and allowed to self cure. During that time, many of the 18 Grade 1, mild cases were placed into a quarter milker. Of the six treated cows, all were tested using the Delvo test. Once negative on that antibiotic test, cows with normal milk were returned to the bulk tank. “Attention to fine detail is followed in cow comfort, milking procedures, equipment maintenance, and overall care from calves to cows,” said nominator Mary Schuster of BelGioioso Cheese. 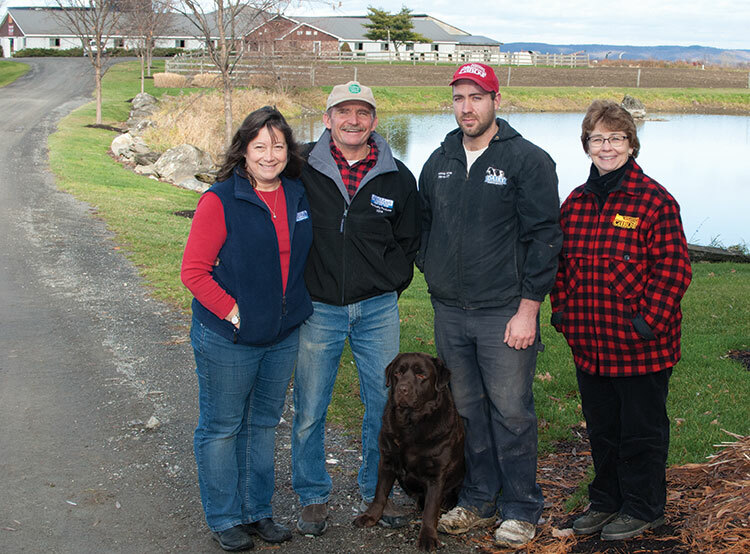 Shown above, (L to R) are: Corey Tavs, assistant herdsman, David Grade, Roger and Sandy Grade, and Janet and Travis Clark. Vision-Aire Farms: We use Spectramast LC, intramammary, once a day for eight days. Milk is withheld for 72 hours. We also use a rumen pump to deliver probiotics and electrolytes, once a day for four days to keep the cow’s digestive system functioning as properly as possible. How do you track treated cows? Bailey Dairy: Cows are marked with four florescent green “T” marks (two on each side). Treated cows are moved to the last group of cows milked. Treatment records are kept in a three-ring binder. Diagnosis, treatment, follow-up treatments, and meat/milk withdrawals are all recorded. All diseases and treatments are entered into AgSource DM, our computerized dairy management program. Country Aire Farms: Treated cows are isolated in a hospital pen and milked in the hospital parlor. The herd manager records treatments in a notebook by the hospital pen. Disease and treatment records are entered into DairyComp 305 daily. The daily treatment notebook is then filed away for a permanent physical record. Simon Dairy: Cows have a red leg band and are placed in a separate group with all treated cows. Treated cows also are written on a dry erase board in the parlor and office. As for our record system, cows are entered into PCDart, and we maintain a paper copy of all the treated cows. Cows are also recorded on the dry erase board in the parlor. Tollgate Holsteins: We use leg bands, and the cow’s condition is noted on paper and left prominently on the milking cart. We employ individual cow pages and a dry erase board. Permanent records are kept on individual cow health record pages. UW-Marshfield: A red band is placed around both rear feet. Treated cow IDs (identification) are entered in the parlor computer system (Alpro) as “do not milk.” The treated cow ID is written on the parlor dry erase board. Cow ID, date, treatment, severity, and milk withhold are entered in the treatment log and on DairyComp 305. We have mastitis forms the milkers use to record animal ID, mastitis details (such as pen quarter, severity), and treatment. We use DairyComp 305 to enter mastitis date, treatment, quarter, and pathogen. We also keep paper copy records on all cow treatments. Vision-Aire Farms: We use orange leg bands and tail chalk on both hind legs. We have a handwritten journal. All treatments, doses, dates, and treatment site are kept in this treatment journal. This article appears on pages 18 to 20 of the January 10, 2017 issue of Hoard's Dairyman.